This professional, high-speed label printer comes with built-in ethernet and wireless networking, perfect for printing cost-effective paper labels! It can print up to 93 labels per minute and in high resolution (300 x 600 dpi). The printer uses direct thermal printing mechanism with easy drop-in tape rolls, which means that no ink or toner is required. However, this also means that the printer can only print in black. The machine is simple to use and automatically recognizes the roll size and adjusts the label template accordingly. It also has an automatic cutter. Not to mention, it’s exceedingly portable! Recommendations: We recommend this printer for hosting events with simple printing requirement. This is one of our most frequently rented printer as it is extremely portable, easy to set-up, and cost-effective. 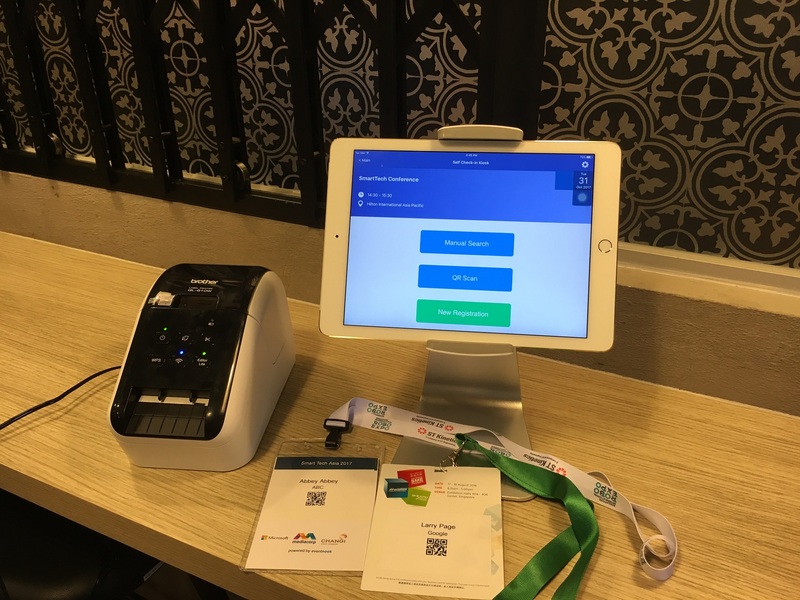 One method our clients have utilized this printer is by sticking the name badges generated by this printer onto pre-printed badges that feature the event details. This cuts down printing time, money, and reduces the attendees’ wait time immensely! Interested in Badge Printing Package? 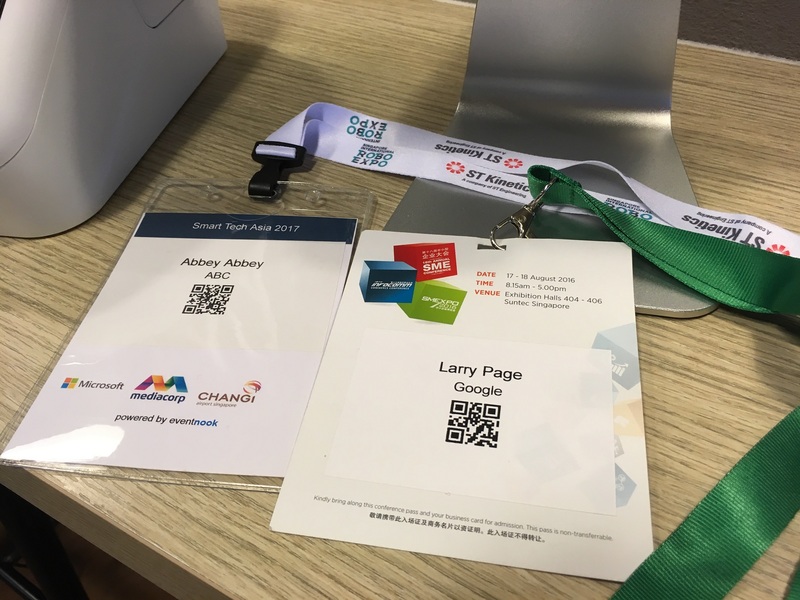 If you are looking to streamline and automate badge printing, contact us - hello@eventnook.com. Which name badge printer should I use for my event?